The Internet arrived like an ufo, bringing a promise towards the future. When it became accessible to the broad public, users started to play around and share their hopes, dreams and productions with the global village in which their children will be living. The birth of the Internet created a specific utopic spirit and everybody was invited to the party. The Internet changed a lot over the last decades, this utopic spirit began to fade and its users with it. Today, these webpages have been hidden and forgotten by everyone. Luckily, our digital heritage defenders do exist and are truly active ; there seem to be a resurge of our digital culture and artefacts. In my thesis, I’m exploring the Internet in a sociological and archeological perspective. I’m developing the idea of a ‘digital folklore’ (cf Olia Lialina ) ; Today more than before, there is a wish to keep traces of our digital tradition. The defenders of our Internet culture are fighting against the forgetfulness of a material that henceforth belong to the past. This thesis is a contribution to save that part of history that went missing in the fast Internet evolution. ‘‘A structural, visual and acoustic culture you could play around with, a culture you could break. There was an ocean of options and one of the options was to be different. (…) It was bright, rich, colorful, naive, slow, personal, direct and under construction. The importance of the first tribes lays in the spreading of the Internet architecture and culture. 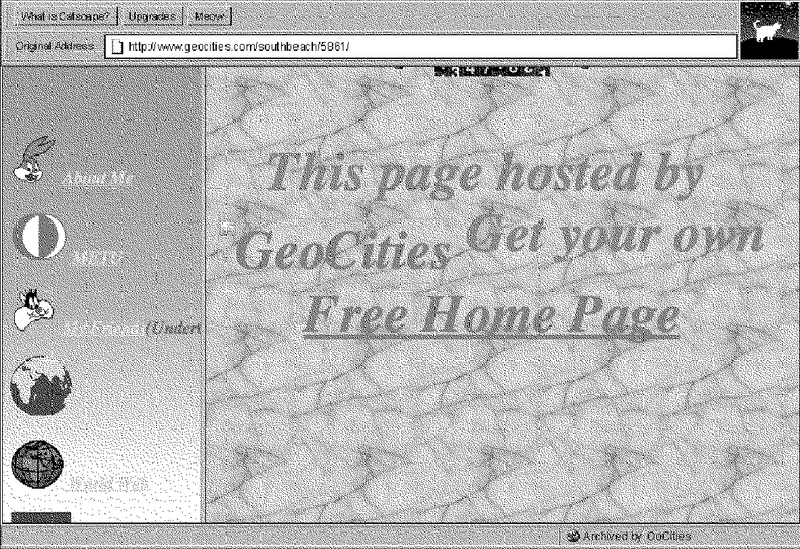 The shutting down of GeoCities (the biggest hosting service at the time) marks a shift in the Internet history : only a very small part of webpages have been saved, there are holes in the shallows of the World Wide Web and pages are filled with dead links. Shot(picture?) of one of the many digital ruins, where images have been replaced by the icon "image not found". They are the remains of the first digital tribes : structures that were once complete and have fallen into a state of partial of complete disrepair. 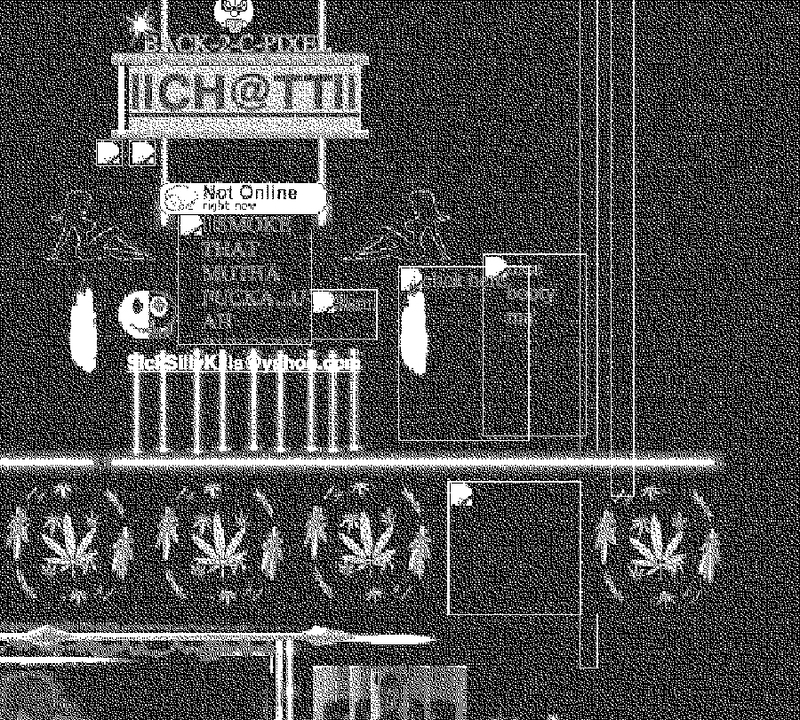 These digital monuments became places of worship, places where you can remember this specific time where movement and construction were the core of the online activity. 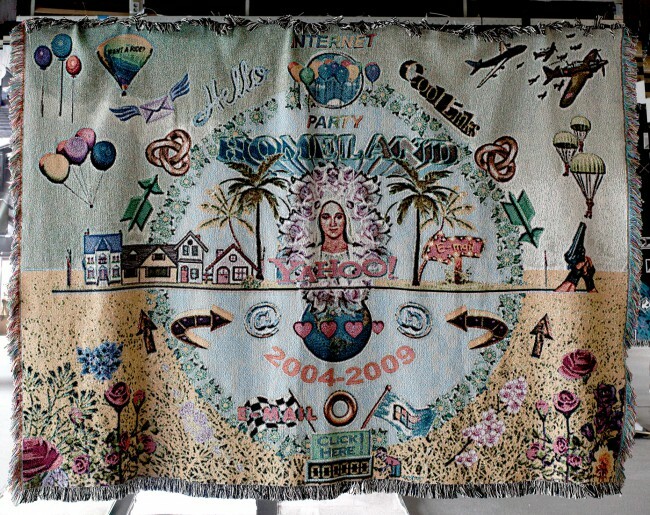 The 3 tapestries were part of the graduation show. 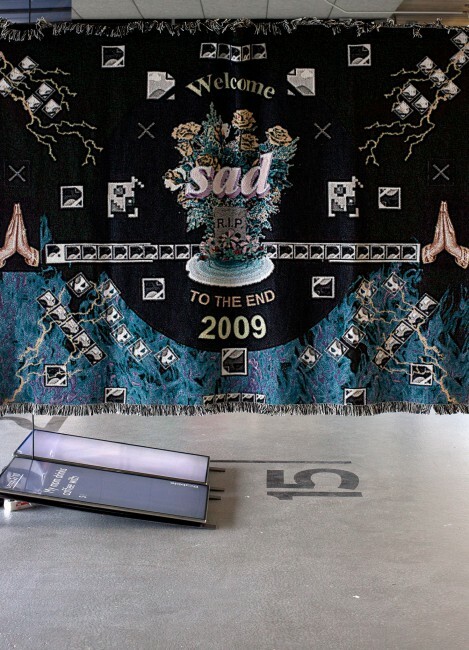 The tapestries pay tribute to a web that is gone or -say- hidden. They work as a religious triptych and are inspired by their traditional construction : The birth, the life and the death. 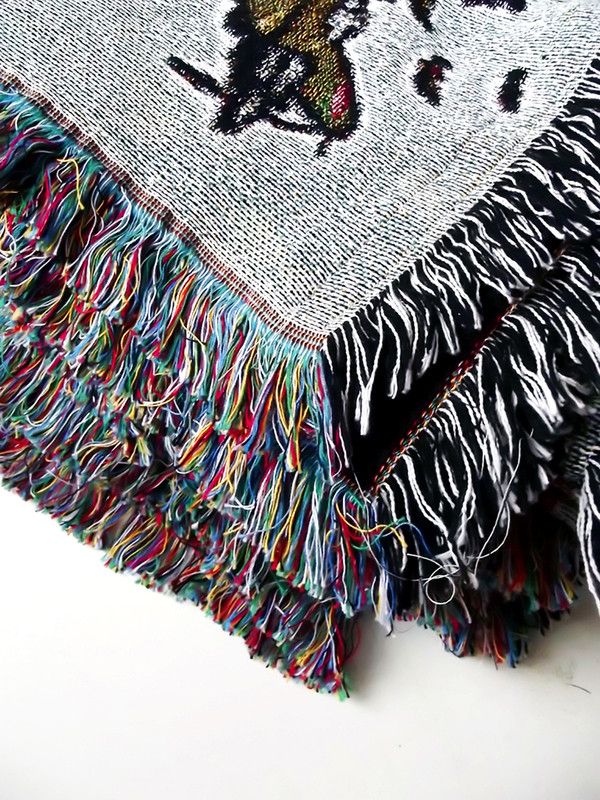 The idea of making tapestries came into my mind quickly while writing my thesis. 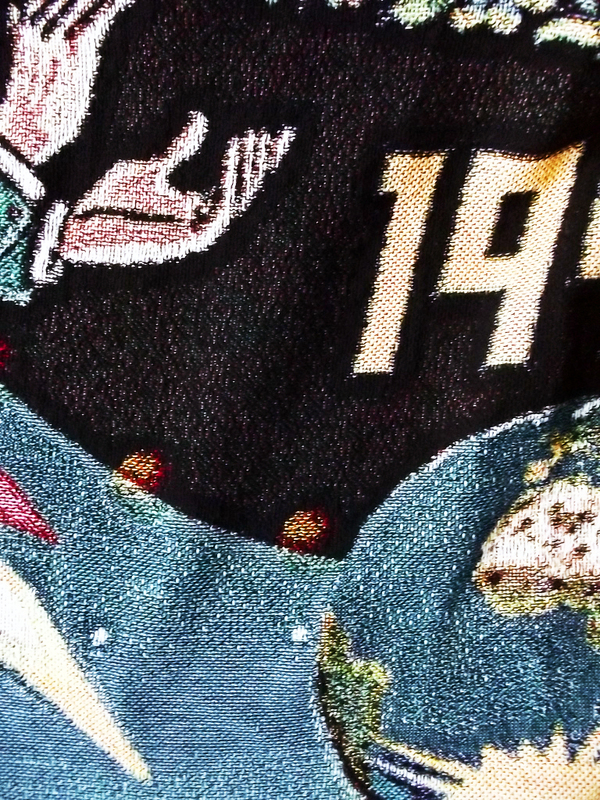 Initially, tapestries were made to educate illiterate and uneducated people about subject of war, religion and so on. 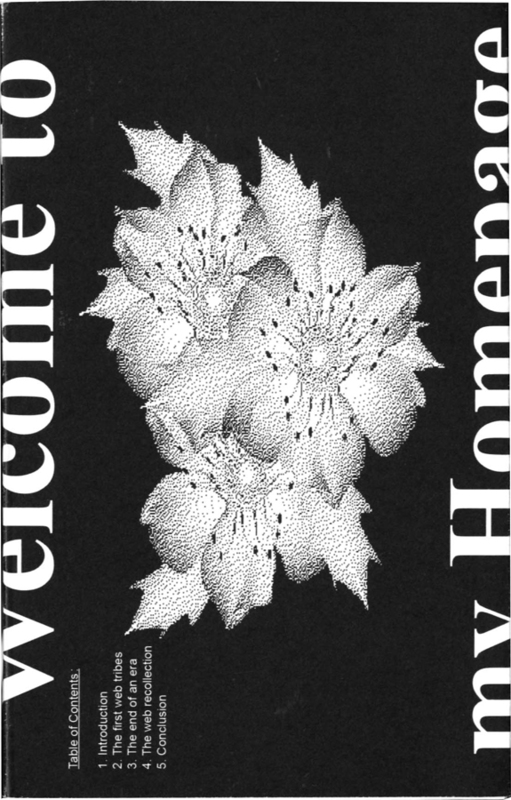 Whilst contributing on saving the history, they were also made to make a space warm and welcoming (such as the first webpages). 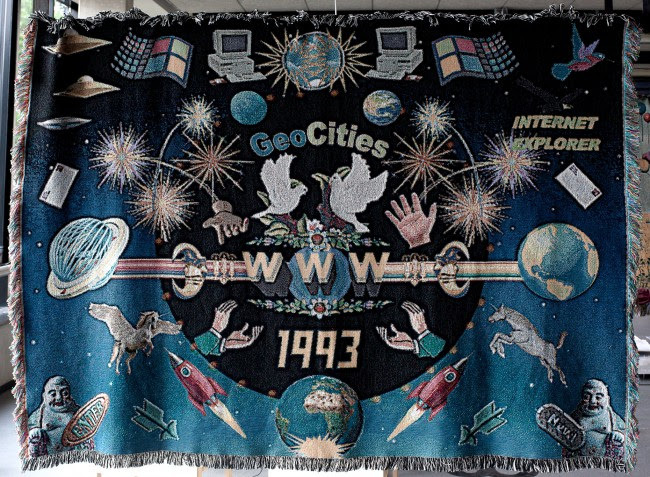 The connection between the Internet archeology and tapestries was really straight froward; they also recall the computer screen and pixels.